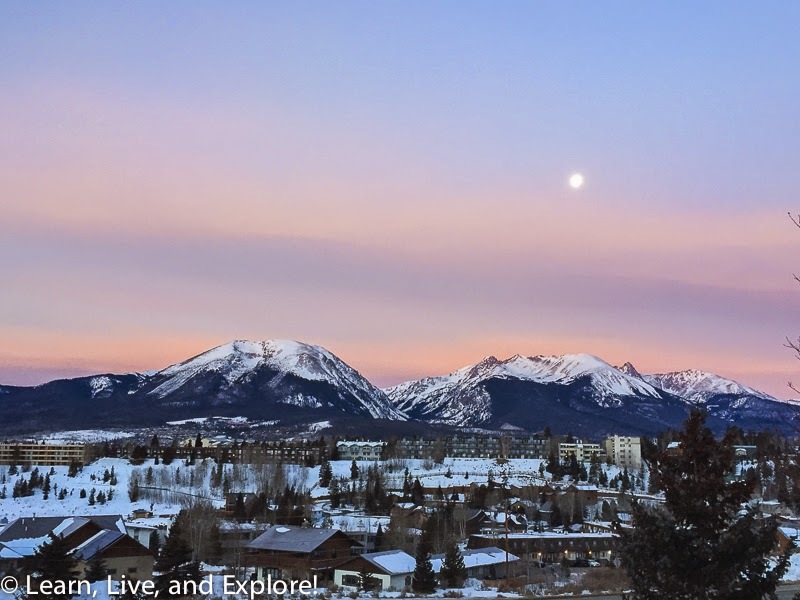 2014-15 Winter Mountain Highlights ~ Learn, Live, and Explore! This winter season has been amazing and I'm sad to see it go. Of course, I cheated a little and missed out on some of the coldest and snowiest days in D.C. while I was in Norway, where it was ironically above freezing all but one of the days. I was very fortunate this winter to get some time in on the slopes. I just love to ski for hours, then undo the boots and enjoy a relaxing aprés ski drink with friends. I also find immense beauty in snow covered trees and pristine white mountain tops. Sometimes I wonder why I still live so far away from real mountains, but then I remember how much I love the history that surrounds the D.C. area and the convenience of the excitement of NYC. So I guess I will continue to carve as much time out as I can to fly out west to the Rockies or Cascades while staying put, for now. 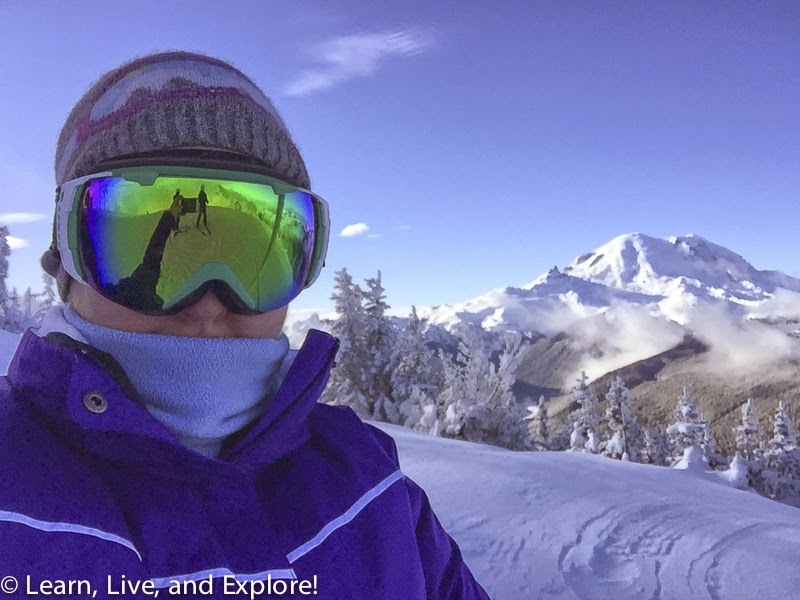 This winter marked my first time skiing at Crystal Mountain just outside of Seattle. 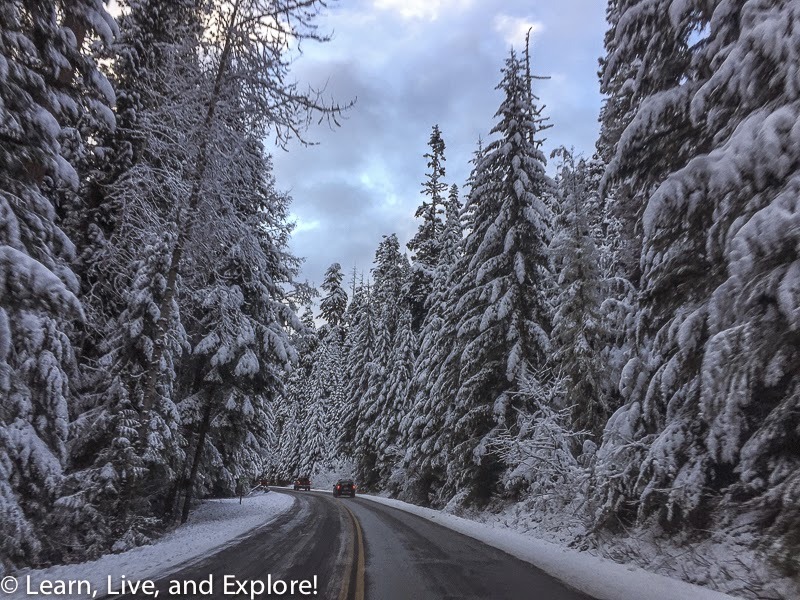 Normally, when I'm out in Washington State, I've gone to Steven's Pass or Snoqualmie Pass, but the Pacific Northwest had a very abnormal snow season, and when I was out there over Christmas, it was slim pickings for what resorts were open. 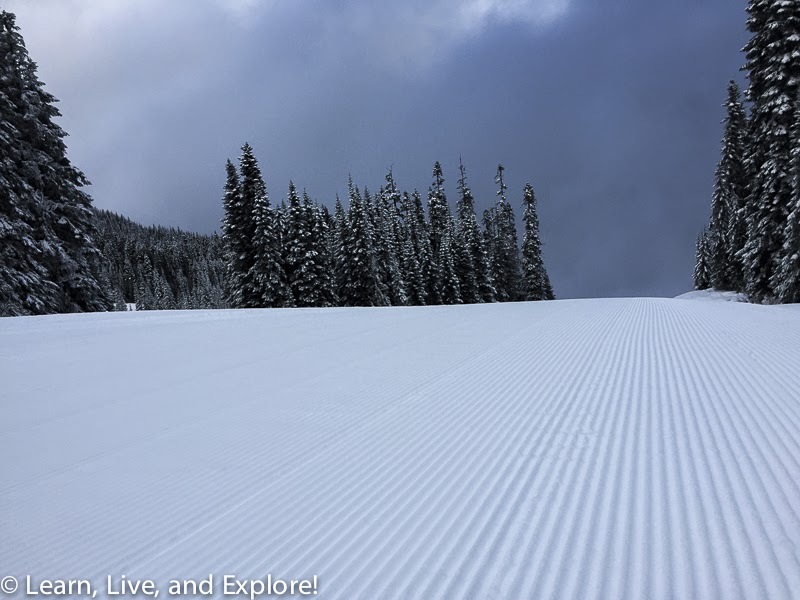 Crystal was really fun, both messing up the fresh corduroy and skiing the limited amount of powder on a crowd-less Christmas Day. 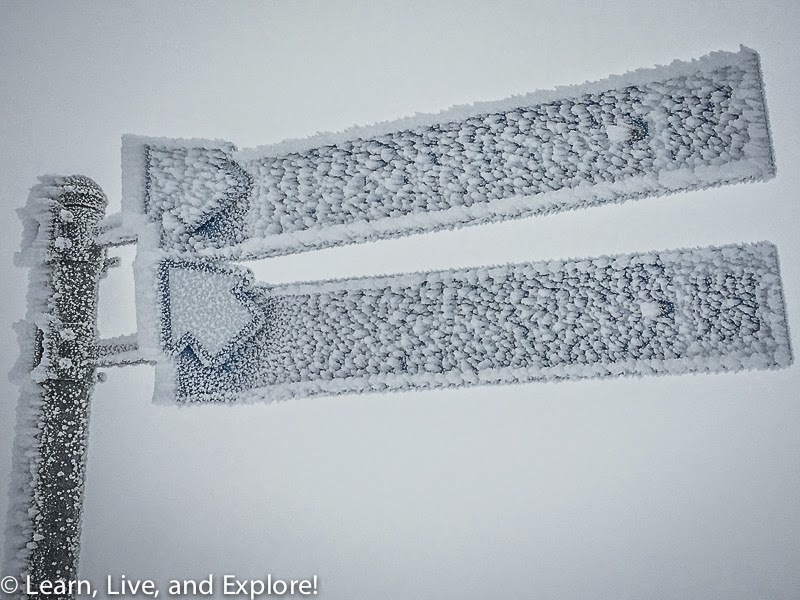 As long as you stayed on the upper trails, the slopes were covered. 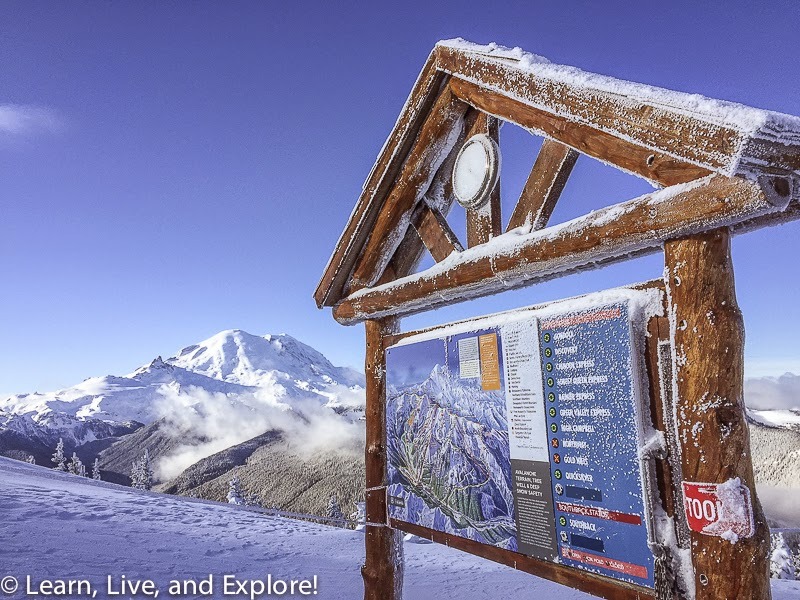 At the top of the Rainier Express lift or gondola at Crystal Mountain, if the weather is cooperative you have a perfect view of the gorgeous Mt. Rainier. It's hard to convince yourself that you're seeing this 14,410 foot monster mountain because you feel like it should be taller. If you've ever seen a cityscape of Seattle with Rainier in the background, it seems like there is nothing remotely close to its height. This photo was taken at only 6,870 feet, so why isn't Rainier double the size? Hmm...One day I'll finally reconcile these two perspectives of the mountain, but for now my brain is still perplexed. And then there was Colorado...I love this place more and more after each visit! 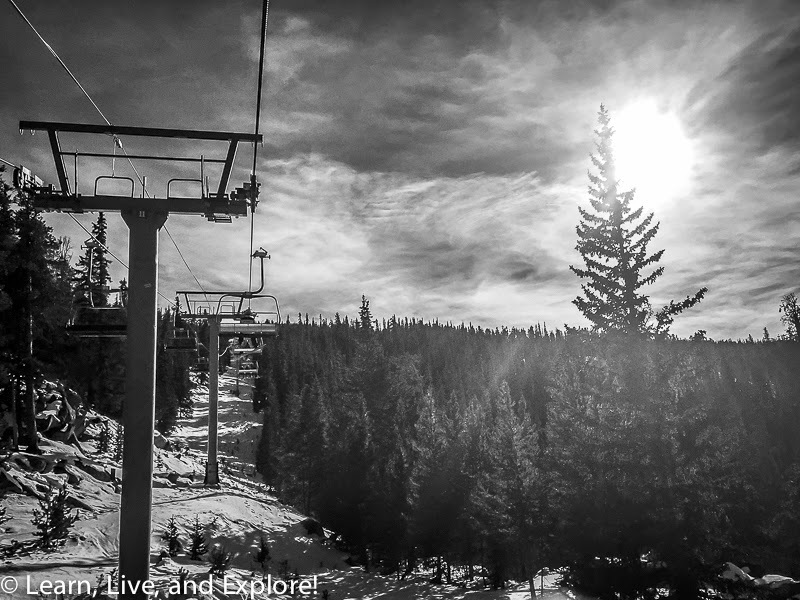 I was lucky to get some skiing done in Summit County at Breckenridge, Keystone, and Arapahoe Basin this winter as well. Three resorts all within 20 minutes from where I stayed....ahhhhh, paradise!!! 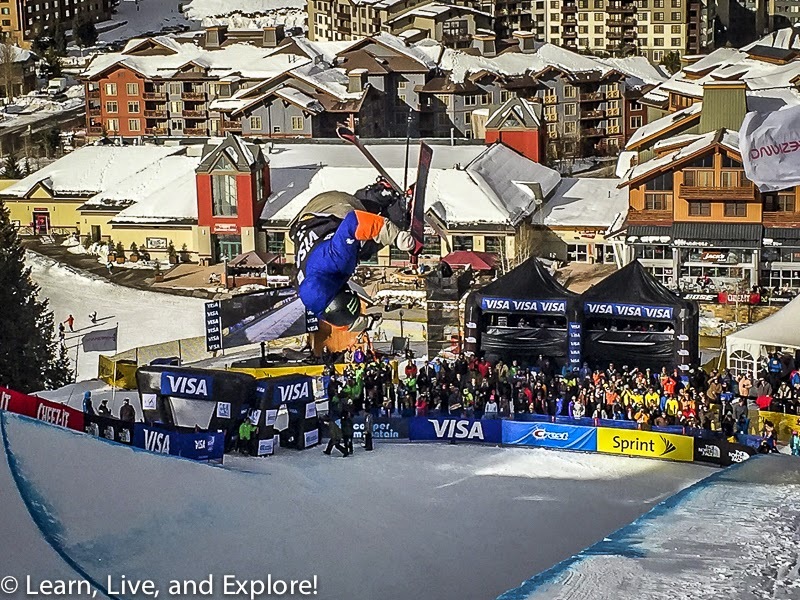 And to top it off, I was able to see some of the best halfpipe skiers compete as well this season. 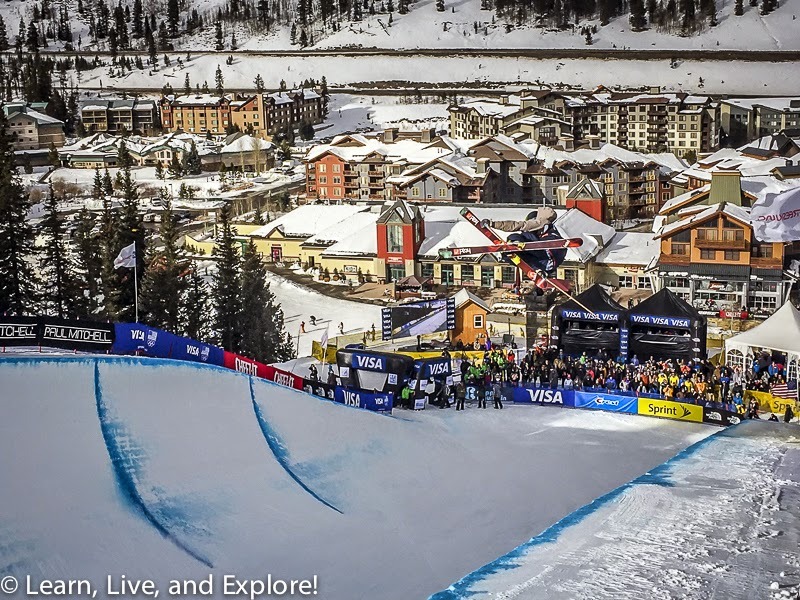 It is a thrilling experience to stand next to these superpipe walls and have the competitors soar 15-20 feet above you - twisting, flipping, turning, and somehow landing on an icy wall. 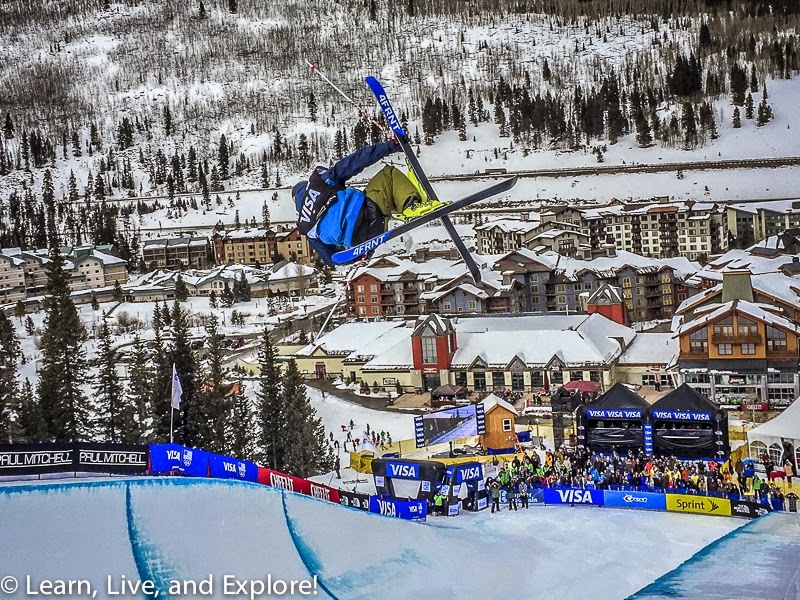 The majority of these guys were all participants at the inaugural freestyle skiing halfpipe competition at the Sochi Olympics last year, including Olympic medal winners David Wise and Gus Kenworthy. Here are some of my favorite shots I got off of my iPhone - yes, my iPhone!!! 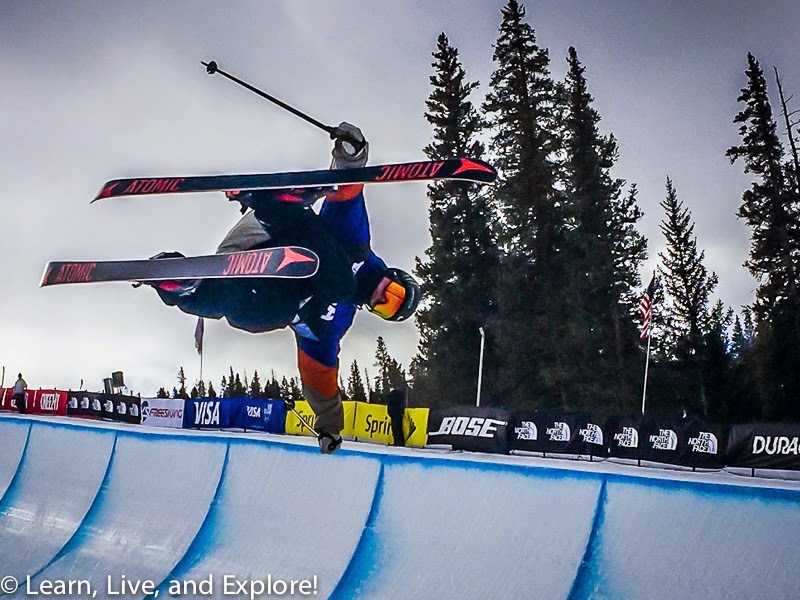 Gus Kenworthy, above, warming up during practice. 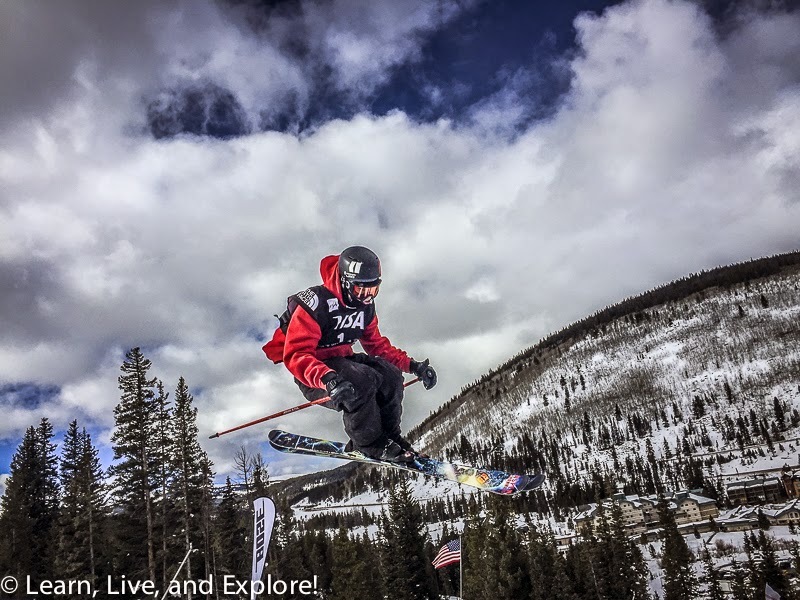 Alex Ferriera setting the bar high on the first run of the day with some crazy tricks, super high amplitude, and fast speeds. 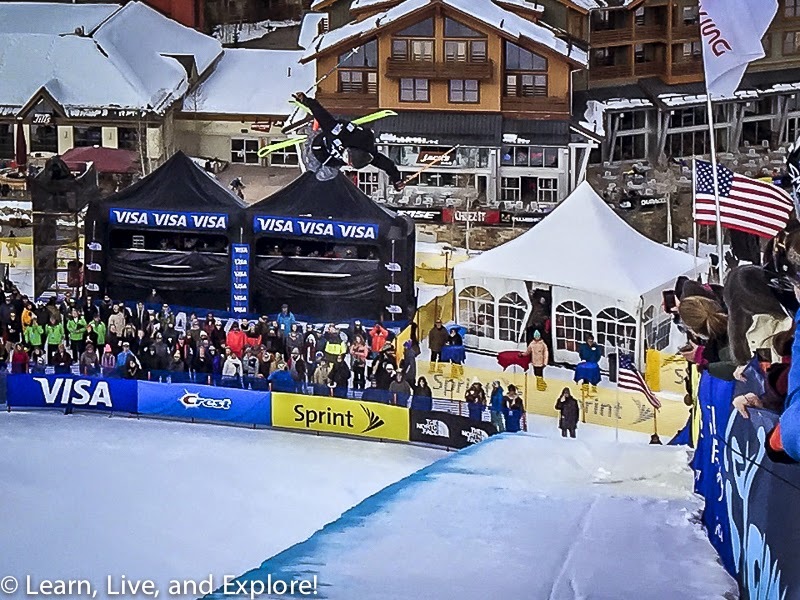 Olympic halfpipe gold medalist David Wise finishing a run that would get him to the top of the podium....yet again. He is incredibly confident and consistent to watch. 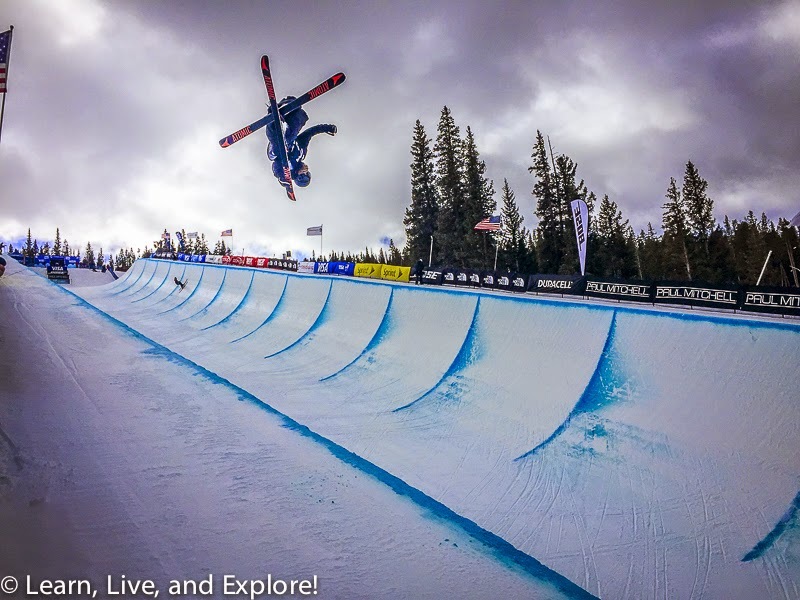 Torin Yater-Wallace doing a flat spin trick off the pipe wall. I'm still trying to learn all of the terminology, but I feel like even after I know the names of the tricks, I will never be able to know what's being performed because they are done so fast in person. Aaron Blunk trying to catch the leaders, camouflaged in the resort building below the pipe. Finally, every stray dog's best friend and the best overall freeskiing competitor in all disciplines - slopestyle, pipe, and big air - Mr. Gus Kenworthy doing a 1080 with a hand grab as the last trick of his run. Alas, all good things must come to an end, and this winter I had an ending for which I was not prepared. It's always important to be careful in spring ski conditions because you never know when some sloppy slush is going to catch you off guard. I was doing a cut through to get from one run to another, and while turning to avoid some exposed rock, I twisted my knee and fell. I was surprised that it didn't hurt at all, but I was worried about the sounds my tendons made during the fall. When I slowly made my way down to the run, I realized quickly that I had lost a significant amount of lateral stability in my knee. Fortunately, the lift was only a short ride away, close enough for me to ski to on one foot essentially. And a member of the ski patrol happened to be coming down the mountain at that moment. We rode the lift up together (we were on the back side of the mountain, so we needed to go up before going down). At the top, I took off my skis and had issues walking, so he wrapped me up in the toboggan for my first ever sled ride to the base. Of course I videoed my ride, well until the snow spray kept hitting me in the face! After a few days of rest and ice, it's looking like minimal damage to my knees since I can walk and finally see my kneecap again after days of swelling, thank goodness! And the remainder of the trip wasn't a total wash. We tried new craft beers at Broken Compass in Breckenridge that were very tasty. As an added bonus, Broken Compass is completely dog friendly, so the pooch got to hang out with us. And, we also bought some super tacky ski-themed t-shirts. All in all, a pretty fine evening. Can't wait to come back next year!